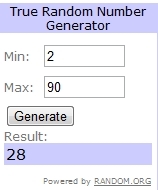 The winner of the Sizzix Bigz Die is fan #28 Yvette Robledo! Thank you, Yvette and all the rest of my new friends!! For those of you who haven't visited and "liked" my page yet, come on over: Crafty Amiga on Facebook! The winner of the stamp set is: Annette Armas! Thanks to Annette who referred the most new fans over to my page. I announced the winner last Friday, I am just barely getting to posting it here on my blog! I have got to get into the routine of posting!! Thanks again to all of you who have come to support "Crafty Amiga"
Giveaway on my FB page!